To consult the full conference programme booklet, click here. 70 workshops were presented at the conference. They explored an extraordinary range of best practices and programs across our global network of boys' schools. 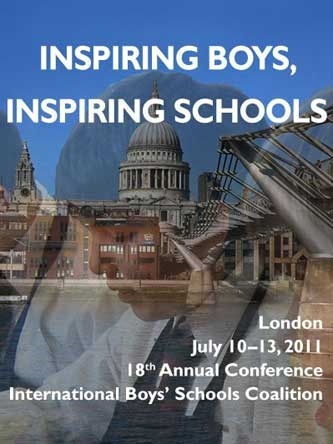 In addition to workshops by experienced presenters, a new generation of educators in boys’ schools is asserted leadership in workshops on innovative curriculum and program design. Power points and handouts of many of the workshops are posted here. Links to conference photos are located below. Click on the images to view the photo albums from each day of the conference. High-resolution images for photo printing are available upon request. Please contact office@theibscfor details. If you have any questions or comments, please contact office@theibsc.org.